Glass doors on your fireplace add beauty and safety to your home. Get a free quote now for fireplace glass doors from Early Times. Fireplaces offer a warmth and comfort that nothing else can provide. Whether you have a gas burning or wood burning fireplace, one of the most trending accessories is a fireplace glass door. They give your fireplace a sophisticated look while also providing it with great benefits. Nowadays, fireplaces are often designed with many accessories to make them stand out and become the focal point of the room. A lot of fireplace accessories are purely aesthetic. However, there’s one fireplace accessory that provides both visual appeal and tangible benefits. Adding a glass door to your fireplace opens up a bunch of great advantages that you can’t get otherwise. Your fireplace will look better, perform better and protect your home better with a glass door. A fireplace door will instantly increase the aesthetics of whatever room your fireplace is in. At Early Times, we know that every home is different and homeowners have different tastes. That’s why we offer a plethora of fireplace glass door styles. With many different glass, frame, finish and hardware options, you’ll be able to create the perfect glass door for your fireplace. Whether you’re looking for a traditional design or a more modern contemporary glass door for your fireplace, Early Times has it all. An open fireplace is much like an open window. It’s a free pass for outside air to enter your home and for your heated and cooled air to escape. You wouldn’t leave your windows open during winter, so why leave your fireplace open? With the addition of fireplace glass doors, you’ll have the assurance of knowing that your home isn’t losing any energy via your fireplace. When you’re not burning a fire, they’ll keep outside air out of your home. This puts less stress on your heating and cooling appliances which can lead to lower energy bills. Who doesn’t like saving money? Safety is always a number one priority for homeowners, especially when fireplaces are involved. Without fireplace glass doors, the potential for danger is increased. Most fireplace glass doors include spark arrestor screens that can be closed while burning to prevent sparks and logs from find their way out of the fireplace, Keep in mind that only screens should be closed while burning, the glass doors must always remain open. Before you choose a glass door for your fireplace, there are a few factors to consider. You must first know if you’re getting a glass door for a masonry fireplace or a prefabricated fireplace. 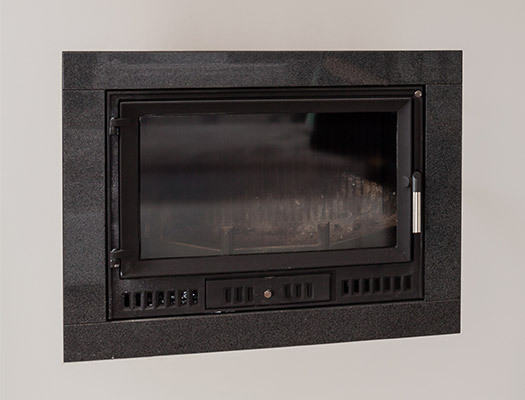 Luckily, Early Times has fireplace glass doors for both masonry and prefabricated fireplaces. You also need to make sure you get the right sized door for your fireplace. You can measure it yourself, or if you’re not comfortable doing so, you can count on our chimney and fireplace experts to make sure you get the right sized fireplace glass door. The last thing you need to do is choose the style you feel best suits your home and your tastes. Early Times has been providing the Chicagoland area with premier chimney and fireplace services for over 30 years. Our fireplace glass doors will surely improve your home’s beauty, safety and energy efficiency. Get a free quote online or call us to get started on your fireplace glass door project from Early Times Home Solutions.